I know it has been awhile since I’ve last talked my latest experiences in GTA 5, but that’s mainly due to the fact that I’ve been a little busy these days and have also been trying a beta of an upcoming open world racing game which you can read about here. For those that are still asking “What is The Doomsday Heist?”, you’ll want to read about my experience with the first 2 acts of this great downloadable content. It has certainly built to what is going to be the big climax of the third and final act which I have actually already started. I’ve only completed some of the prep missions though and still have a ways to go. What’s a little different about this one though is that before I’m able to complete the final 2 prep missions, I have to actually complete the setup missions that will lead up to those final 2 prep missions. Let me tell you though, they look like they are going to be quite challenging which makes sense since I’m pretty much dealing with the ultimate betrayal from someone who was thought to actually be helping early on in the Doomsday Heist. Well without further ado, here’s my experiences with the first few prep missions of the Doomsday Heist: Act 3. Surprisingly, some of them really weren’t that difficult to complete. This particular mission was pretty straightforward and I really didn’t have to worry much about being killed during this particular prep mission. 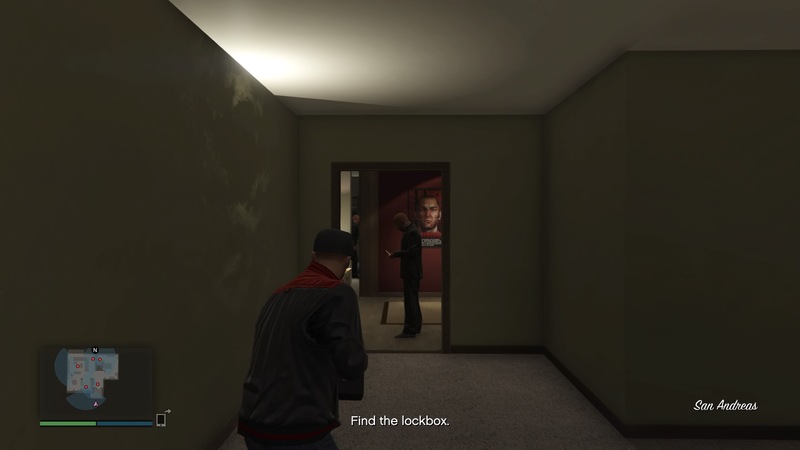 What I needed to do for this mission was go to a specific location, find a lock key, and open the box it goes to so I can steal a laptop that contains information of a test site that Avon and his super AI computer plan to use to test out weapons (such as a new state-of-the-art tank). As soon as I leave my underground headquarters, I immediately start driving to the location on the map thanks to the automatic mission GPS. Once I arrive, I have to take art the guards, but Lester prefers that I do so quietly. In the past, I would usually not be very successful in being stealthy trying to take out guards and all the other guards would be alerted to my presence. This time would actually be different believe it or not. Once I arrive to the house on North Sheldon Avenue, I immediately see a guard on what looks like a balcony at the back of the house. I get art my sniper rifle that has a silencer on it and I take aim. The guard continues to walk, but he finally comes to a stop and that’s when I aim at his head. I soon pull the trigger and he immediately drops to the ground. I pause for a brief moment because this is usually about the time other guards either hear the shot somehow or see the body and alert all the other guards and then they’ll suddenly start to swarm around me. That does not happen though and so I continue on. I switch the camera around and on the other side of the brick driveway is another guard who is kneeling down, completely unaware that I’m even there or that I killed another guard. Needless to say, I aim at him, zoom in, and open fire. Another guard down, but more to go. I start to move up closer to the house, but I see one standing in front of what looks like the main door. Just like the guard before him, he’s completely unaware that I’m there. I start to take aim, but a tree is in the way so I move over to the left a bit and now I’m able to see him in full view. I pull the trigger and he’s gone. With the outside guards gone, I’m now able to enter the house. Once I’m in, Lester informs me that I’m to look for a lock box with a laptop in it. I also notice immediately that there is a guard right in front of me in the room ahead, but he doesn’t notice me just like the guards outside didn’t. Needless to say, I made quick work of him with my sniper rifle. After he’s taken art, I spot another one further into the room and take that guard art as well. Then I slowly and carefully make my way into the living room. I immediately notice another guard in front of the TV and you can probably guess what happened next. My attention then turns to the kitchen where there’s yet another guard, but of course he’s completely unaware that his companions have been taken art and that I’ve taken aim at him. He’s actually the final guard that I take art. There is one more in the house, but he’s in the bedroom and there’s really no reason for me to go after him. Yes I know, it’s kind of crazy that I end up letting one live. I make my way to the lock box, unlock it and pull out the laptop. Now that my mission is done at the house, it’s time to leave. I get on my motorcycle and head back to the facility. My position is now known to other players, but fortunately they end up keeping to themselves and I try to keep away from them as much as possible. Don’t want my stealth kills to be for nothing. I end up making it back there in one piece and the mission has successfully been completed. This prep mission requires me to get information from a weapons dealer. The mission is actually a pretty easy one as well. I just need to follow the dealer to his location and take his briefcase. As soon as I leave the facility, I head to my destination which is where this person is at in the city of Los Santos. I do have to tail him for a little while as he travels a bit around the city, but he finally arrives at this location and ends up talking to someone. Needless to say, I get my gun art and take him art from a distance. I’m able to then grab the briefcase and begin my journey back to the facility to complete my mission. As you can see, the mission wasn’t very hard to complete at all. See a trend developing with the prep missions? Well that’s 2 prep missions down and 3 more to go (there’s actually a few more prep missions that need to get completed, but I’ll get to that in a bit). I have a funny feeling though that these prep missions are the calm before the storm, because I’ve been reading that some of the setup missions are incredibly difficult especially leading up to the final mission of Act 3. I guess I’ll find art soon enough. I thought this prep mission was a bit interesting as it shows how things have really escalated as you engage in this final act of the Doomsday Heist. This one actually turned out to be a little more challenging than the prep missions I described above, but I was still able to complete it. My goal in this mission is to steal a ballistic missile launcher known as the Chernobog from Merryweather. As soon as I begin the mission and leave my facility, Lester lets me know about the mission again and where I need to go in order to pull this off. I end up driving to that location and there are Merryweather guards all over the place. I’m sad to say though that there will be no stealth kills like I was able to do to the guards in the Test Site Intel Mission. One shot from my sniper this time and they were on to me and so a major firefight began. I took some major hits, but I quickly switched to my very heavy assault rifle and immediately began firing back, taking out a number of the Merryweather security guards. Eventually I was able to take them all out, get in the Chernobog and drive away. The only problem is, this thing is extremely slow and it seems like it’s as slow as a turtle. Maybe it’s because of all those missiles on it, but thankfully they are all disabled for the time being. I will not have a smooth ride back to the facility though as Merryweather is pretty furious that I’m driving away with ballistic missiles and so they definitely give chase. Thank goodness the Chernobog is a strong and heavily armored vehicle otherwise I would’ve never made it back to the facility to complete my mission. This particular prep mission will have me steal a duffel bag that is full of marked bills and is being watched by the FIB. The money will actually be used to rescue Agent 14. The location actually happens to be at one of those platforms for the passenger train that goes around the city. What’s crazy is that as soon as I get close to the bag, police quickly move in and it turns out that this was a sting operation all along. Needless to say I’m now being targeted by them. I quickly grab the duffel bag and get away as fast as I can as I’m being chased pretty heavily by the police now. In order to lose all this heat on me, I hop onto the freeway and go to a section of it in the downtown area of Los Santos and find the opening in the world and drive down into it, going deeper underground. This has always been my main spot to get away from the police especially if I have 3 or more wanted stars on me. For some reason, they just can’t seem to figure art that I’ve gone into this opening and underground. After I was for about a minute or two, all my wanted stars go away and now I’m able to return safely to the facility and complete this prep mission. This is probably the easiest of all the prep missions I’ve talked about in Act 3 so far. The objective here is very simple: I just need to go to the shipyard by the docks and take photos of different sections of the shipyard and send them off. Not really any enemies to worry about here. After I arrive from my facility to the shipyard, I immediately begin my mission to get the pictures that are needed. I have to go to specific locations in the shipyard and use my in-game smartphone to take pictures and then send them off to Lester back at my facility. Some of the locations prove just a tad bit challenging because I’m not entirely sure if I’m in the right section or not to take the correct picture and so the mission actually takes a little longer than it should. I’ll eventually get to the right spots, take the right picture, send them off, and then get a message saying that I got everything that’s needed and to head back to base. Nothing to worry about from enemies or other players and so I had back to the facility and the mission is done. That’s all currently for the prep missions, but as I mentioned earlier, there are actually 2 more prep missions left, I just can’t do those yet until I complete the setup missions available now since the other prep missions are done. Stay tuned as I definitely plan on posting my experience with those setup missions and I’m pretty sure I’m going to have my hands full on some of them as it seems like a few will certainly be very challenging. In the meantime, check art the video below which shows my involvement in the Test Site Intel prep mission and you’ll also get to see my stealthy kills. Well this concludes my experience with Act 3 at the moment for those who asked “What is the Doomsday Heis”t. Feel free to share your thoughts. I like that you left one guy alive in the bedroom. It’s fun imagining him freaking out when he discovers everyone one else is dead and the laptop is gone. What’s his boss going to think? 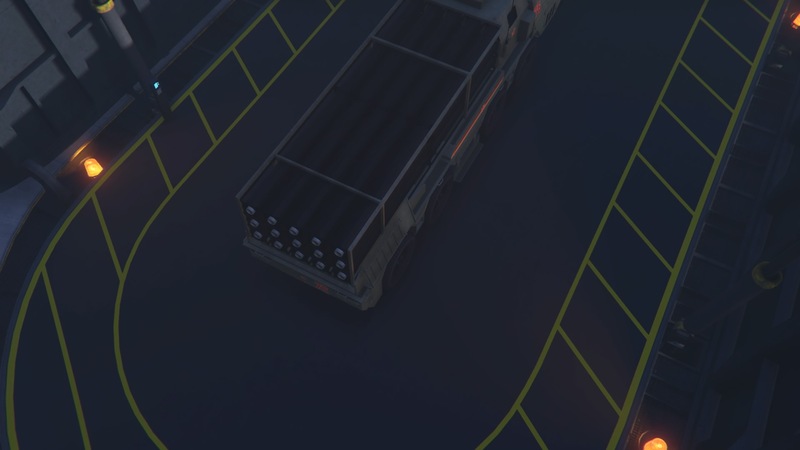 Being chased while driving a vehicle full of ballistic missiles sounds interesting. But it would be more fun if you could go faster. Thanks for the play-by-play, it really makes the missions sound exciting. Incidentally, instead of the word “out”, every time you use the word “art”. What’s up with that? I never thought of it that way! It is cool to imagine what will go through his mind when he discovers all the other guards are killed and what he would say to his boss. As far as the word art instead of out, that was an editing mistake. Thank you for pointing that out, I’ll certainly get that corrected. Dude GTA 5 is my favourite game, hard to imagine it came out 5 years ago. Its still my go to on xb1, I even have it on PC just for whatever. Open world games and driving games is the only 2 categories I play. Its funny you mentioned GTA 5 because Red Dead Redempton 2 by Rockstar Games is coming out soon! Yeah I’ve already started talking about Red Dead Redemption 2. Have you played any of the Doomsday Heist Missions yet? If not, you really should get online and try them out. Some of the payouts are really nice.